Home/We Often Hear About World Heritage Listed, But What Does It Actually Mean? When you hear the word heritage, you might think of old faded photos of long-forgotten relatives fading away in storage boxes hidden in the roof, or the dusty antique collection that you inherited from your grandparents. In actual fact, a World Heritage Site is known as a landmark or area which is selected by the United Nations Educational, Scientific and Cultural Organisation (UNESCO) as having cultural, historical, scientific or other forms of significance and is legally protected by international treaties. Did you know across the world there have been 1073 identified sites? In our beautiful country alone, Australia is lucky enough to have a total of 19 UNESCO World Heritage-listed sites, which include some of the oldest rainforests on earth and around one-third of the world’s protected marine areas. You will notice our wonderful destination Lorde Howe Island on the list. 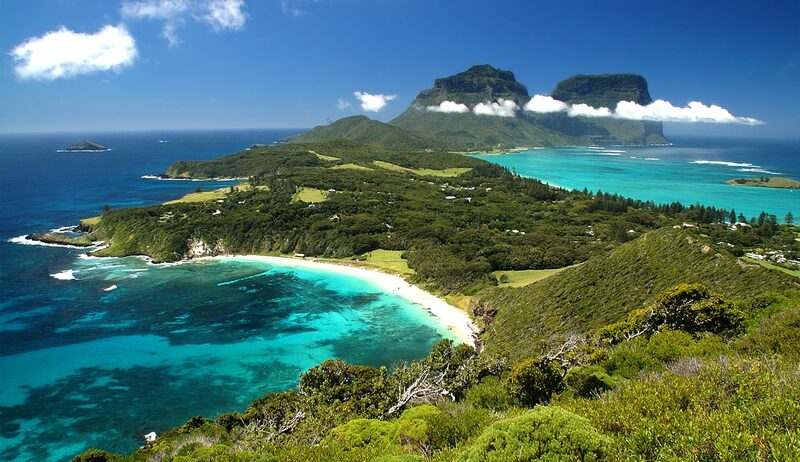 So, what makes Lord Howe Island a World Heritage site? Well….In 1982, The Lord Howe Island Group was listed as one of the UNESCO World Heritage properties, in recognition of the global significance of the island’s beauty and biodiversity. The island’s isolation and its varied landscape of mountains, valleys, hills, lowlands, and sea-cliffs have resulted in a diverse array of habitat types supporting many distinctive flora and fauna species…and interestingly happens to also be the most southern coral reef on the planet. Additionally, the vegetation ranges from coastal grasses to the luxuriant mossy green rainforest shrouded in mist…so much in one exclusive location…right here in Australia! Are you someone who loves History? Why not immerse and explore Lorde Howe Island with the whole family. You have the choice of walking, cycling even hiking to explore all areas of the breathtaking landscapes Lorde Howe has to offer along with visiting the Museum & Visitors Centre. Not sure what time of year to go? Why not contact our experienced team that can help with all areas of your holiday preparation.